I secretly suspect that Escape Dead Island loathes the fact that it's a Dead Island game. I don't know this for sure, but I feel like at some point, someone at developer Fatshark had an idea for a survival-horror/adventure-exploration game with an Alan Wake's American Nightmare-style psychological twist and then some boardroom executive came in and said "It'll never sell unless we attach it to an established franchise. Slap some zombies in there and let's call it Escape Dead Island." 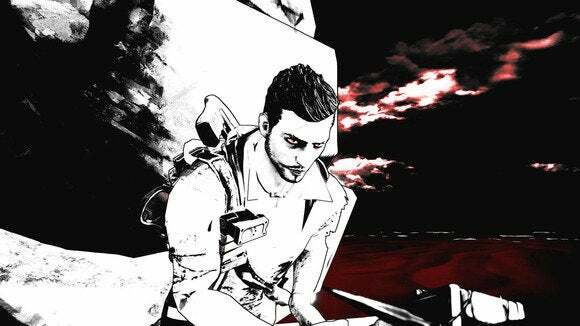 Like all the greatest zombie games in recent memory, Escape Dead Island's zombies seem incidental at best—a convenient pretense for a story. You play as Cliff Caylow, part of a documentary crew shipwrecked on the island setting from the first Dead Island game. Unlike the protagonists of other Dead Island games, our friend Cliffy isn't immune to the zombie virus, meaning stealth is the only viable option. You're not running around shotgunning zombies (at least in the section I saw). Instead, you're sneaking around with a screwdriver and stabbing them in the head. To give you an idea how incidental zombies felt to my demo, I was given control of Caylow in Chapter 5—I assume a decent amount of time into the game. Chapter 5 is, I was told, the first time you'll encounter a zombie. Zombies were just a nuisance, easily stabbed from behind or distracted. I don't know how ferocious they'll be in later parts of the game, but for now it feels like the zombies exist just to give antsy players something to do until the crazy psychological things start happening. What kind of crazy psychological things? How about cargo containers falling from the sky and killing Caylow? You're not dead, though. You wake up back with the rest of your documentary crew, at the beach halfway across the island where you initially shipwrecked. It was all a horrible dream...that you somehow retained all the items from. The Deep Silver representative hosting my demo called it "story loops" but you might as well just call it Groundhog Day—or American Nightmare or Edge of Tomorrow or whatever you'd prefer. I know next to nothing about the story except that it has these supernatural loops inside, and that's enough to get me interested. The art is also gorgeous, outside of the fact that Cliff Caylow looks about as generic as video game protagonists come. 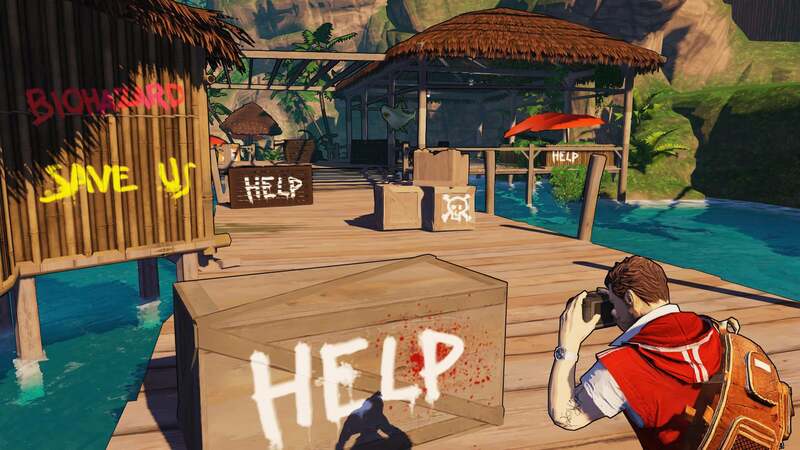 The cel-shaded look is a good fit for Escape Dead Island particularly because the game's only coming to Xbox 360, PlayStation 3, and PC. No, you did not read that wrong. Nearly a year after the release of new consoles, this is a last-gen exclusive game. The cel-shaded style at least helps mitigate the limited graphics capabilities of those old boxes. Deep SIlver is also selling the game at $40, though the representative I talked to was quick to reassure me this is not a "discount game"—it's full of content but is obviously more experimental than, say, Dead Island 2. I'll just...I'll just close my eyes and pretend it's not another zombie game. That should work, right?